If you are in the process of planning your wedding reception, it will not be long before you realize that a good portion of your budget will be relegated to the catering company that you decide to hire. 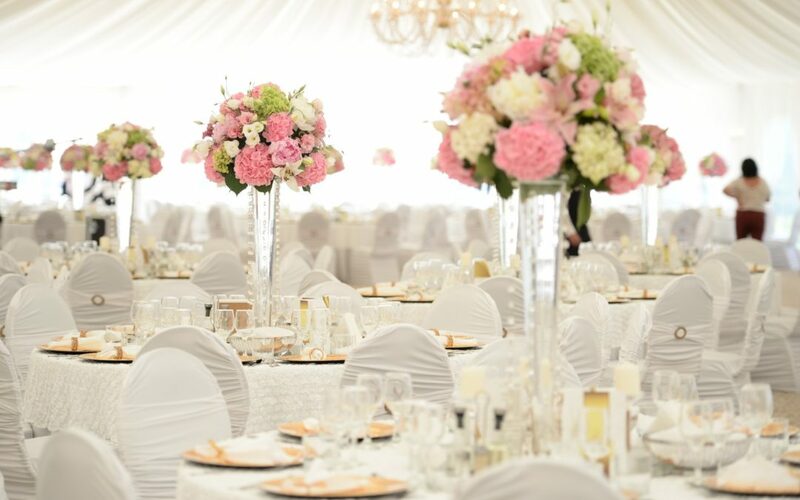 If you are looking to reduce the costs of your wedding reception, so that it will fall within your desired budget, there are always the obvious choices you can make such as selecting a wedding date that is during an off-peak month or reducing your guest list. Selecting a Connecticut wedding caterer who is capable of customizing a wedding package that will meet your needs is of great importance if you are on a tight budget. The professional wedding caterers at Fitzgerald’s Fine Catering have put together a list of suggestions that can assist you in putting together the components of a successful wedding reception, while staying within your desired budget. Limiting the bar menu. You may be tempted to stockpile your bar with top-shelf liquors and an expensive selection wines, which can quickly put your budget over the top. By limiting your bar menu to a few different types of wines and liquors, as well as domestic beer, you can reduce your expenditures, while at the same time satisfying the requirements of your guests. Create a menu that consists of seasonal food items. By serving foods that are in-season, you can potentially make a substantial impact on your bill. For example if you are having your wedding during the winter seasons, you can serve root vegetables or winter squashes with your meals. It is crucial to find a wedding caterer that offers customized menu options for your event. Avoid serving a main coarse meal. You will most definitely save a great deal of money by not serving a main coarse meal to your guests. In order to achieve this, you can schedule your wedding to begin in the late afternoon and load your guests up on passed hors d’oeuvres, then followed by cake, dessert, and coffee. Locating the best wedding catering company that can offer you a customized wedding reception at an affordable price. There are many catering companies available in the area, which can make it a difficult process in selecting which will be best suited for your reception. Fitzgerald’s Fine Catering provides everything you need for your Connecticut wedding reception or event party. A menu to excite your palate, experienced personnel, polished silver and china, rich linens and elegant serving accessories. You can contact us at (800) 368-1823 for a free consultation and tasting.